It’s no secret that the secret is out about Eagle Point. Setting records for visitors has become an annual ritual since the “modern era” for the resort began in 2009. Tens of thousands of people are finding out why a destination at 10,000 feet, in the Tushar Mountains high above Beaver, Utah was so appealing when the lifts first started spinning in 1970. With 73% of skier visits from beyond Utah, and a 68% increase in resort visits from 2015 to 2017, the future for the area has never been brighter. Whether interested in a revenue-generating investment property, or a more permanent place to call your second home, there are several options among the pine trees and aspens for home ownership. 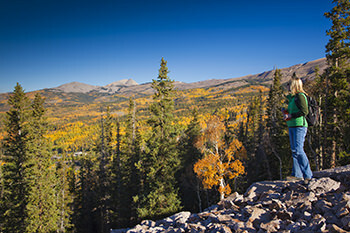 A departure from the noise and commotion you seek to occasionally get away from, Aspen Crest is a private ski-in/ski-out, year-round community that combines outdoor mountain activities with the stillness of the Tushar Mountains in southern Utah. 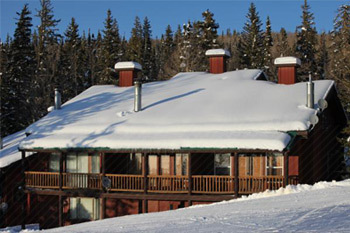 Located in the heart of the resort, mountain living ownership starts from $100,000. An exclusive collection of homesites adjacent to National Forest Service land, Sunset Ridge is located on the west side of Elk Meadows Road. Consisting of a select few ready-to-build lots, this is a rare opportunity for you to design the home or cabin you have always dreamed of. Contact Aspen Equity Real Estate to learn more. 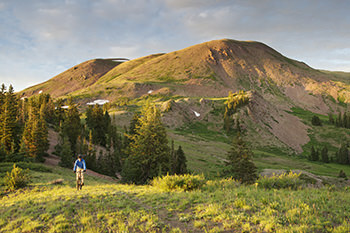 A preferred partner of the resort, Aspen Equity Real Estate represents buyers and sellers with unique local knowledge and connection to the surrounding area. Click here to learn more and view local listings. Eagle Point’s management team can help maximize the value of your investment while satisfying your goals and objectives for personal use of your property. 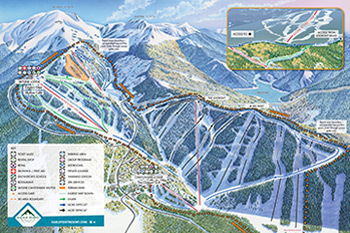 In summer 2016, Eagle Point revealed plans for significant upgrades to the infrastructure of the resort now through 2020 and beyond. Click here to learn more about Vision 2020. Adjacent to the resort on the north side of Highway 153 granting easy access to the Eagle Point Resort Base Village, Merchant Creek and the West Village consist of dozens of lots for you to select from. Typically, at a lower price point than some of the other communities being developed, the enclave provides an opportunity build your custom home whether it be an outpost for your recreational activities or an artist’s retreat.